The Last Spitfire – Again! 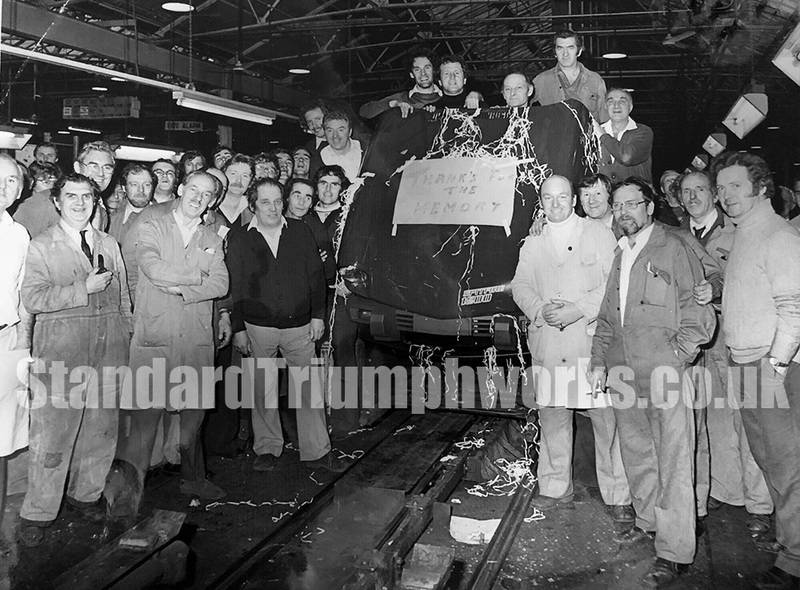 A poignant photograph from the Peter Richardson archive with a message from the workers. Peter, a Shop Steward, can be seen in the white coat and white roll-neck top on the right of the photo. The hand written sign reads “Thanks for the Memory” and shows a Triumph Spitfire – the bumpers looks US spec (can someone confirm this) – do you know the reason for the photograph? Perhaps the last US Spitfire? Do you recognise anyone? As ever, if you do, please get in touch.